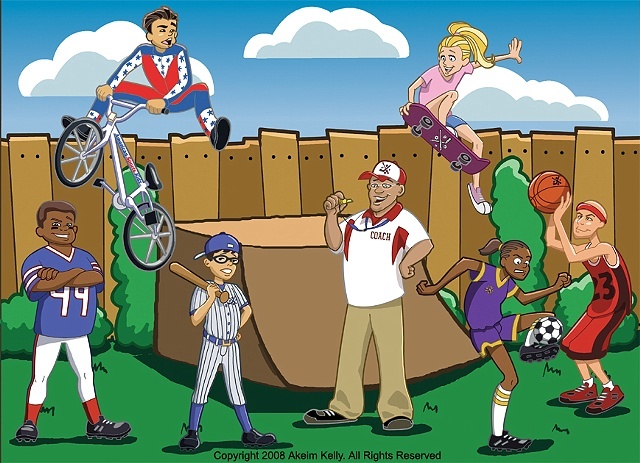 Commisioned character collage for "American Sports Kidz". All rights reserved. Click on the image to enlarge.